The FMF Gnarly Exhaust focuses on increasing the lower RPM horsepower and torque to get you through the most vicious terrain. 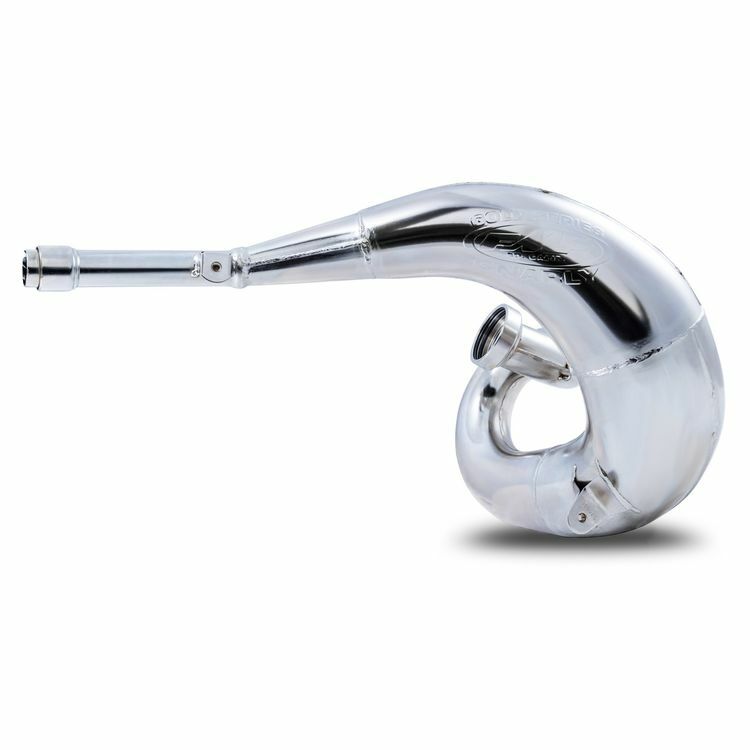 When looking to add 4-stroke tractor like torque to your 2-stroke and you need a pipe to withstand the harsh elements, this is the pipe for you. Strong and rugged, this aggressive pipe dishes out handfuls of torque and bottom to mid range pull needed for late model 200cc through 500cc machines and the rigors of the off road domain.